Edited by AmazingAries, 16 October 2016 - 09:24 PM. Any chance you'll be doing Barry Windham during his '93 championship run? Edited by AmazingAries, 17 October 2016 - 08:27 PM. 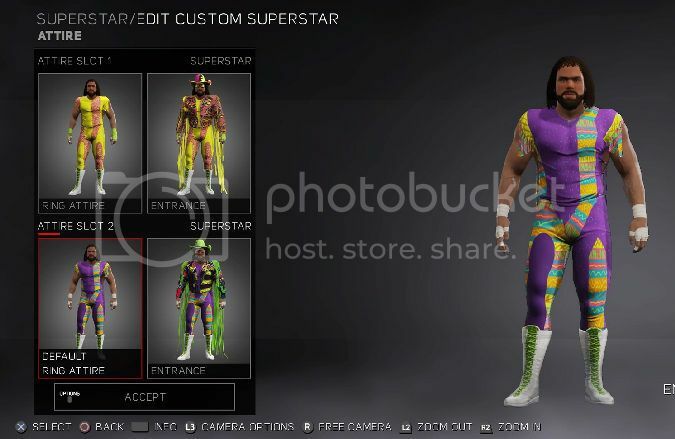 Wwf Macho man alt attires just added and uploaded to cc. Edited by AmazingAries, 23 October 2016 - 12:27 AM. search hash tag is 1MCW or by wrestler name. YES! So glad you've done the UK Rampage attire! Any chance of a Miss Elizabeth? Thanks I have more creations already finished that I'll upload after the game gets patched. I never gave Liz a thought. 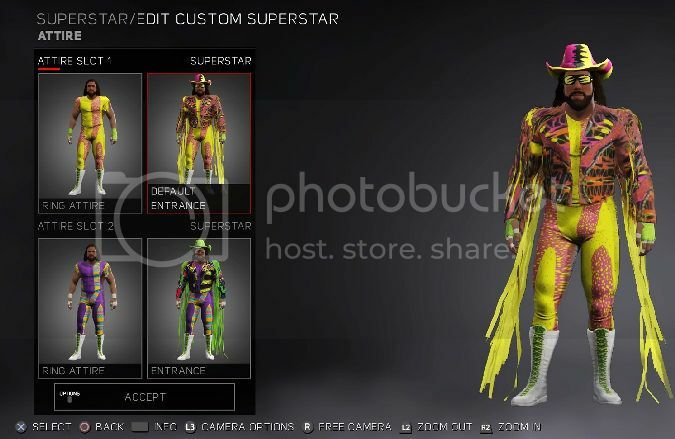 I need to download those macho man attires! You're incredible dude! Nice work as always. royal rumble 91 warrior, sting 95 slots, ultimate warrior 1996 slots added and uploaded to cc. Edited by AmazingAries, 30 October 2016 - 11:12 PM. The rockers added to first page. The rockers v.2 added to first page and uploaded to cc. First page is update and organized. Both the modern HBK attires are tweaked and re uploaded to CC bc the patch destroyed the old ones that were uploaded. Edited by AmazingAries, 14 November 2016 - 01:15 AM.